What do you think of this Star Wars Force Glove? Unleash the force with the power of magnetism! 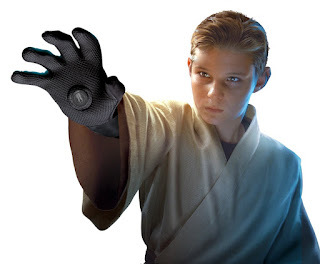 The Force glove lets you attract and repel metal objects with the palm of your hand. Simply flip the magnet to choose between FORCE PULL and FORCE PUSH, giving you the power to push away droids or pull in a light-saber! BONUS QUESTION! Who has the best price? Usually it's the US Amazon site, but sometimes it is the UK or Canadian site!